August tends to be steeped in nostalgia. Maybe it’s the way the sun shines. Maybe it’s summer’s end itself. Or maybe it’s just mostly a time for recollection. Heavy, wonderful memories begin to move in. Life is more closely examined. We’ve lost the speed of summer. Not so in New Zealand, they are in the Southern Hemisphere after all. They’re gaining excitement and sunlight as spring rapidly approaches. It’s not too hot, not too cold (in most places anyway). In fact, it’s just the right time of year for most activities. 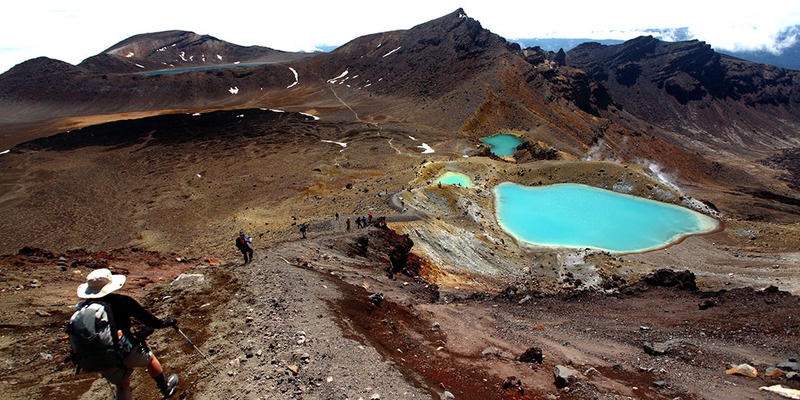 Have you ever wanted to take a locum tenens assignment in New Zealand? We’d say now’s the best time to finally consider taking the plunge. Spring is marvelous in the Land of the Long White Cloud. And here are some of the most marvelous sights and experiences. Even if you grew up in the shadow of a mighty mountain range, next to a sparkling, raging river, you’ve never experienced anything quite like Okarito Lagoon. Some would paint this region with the very same words. Granted, you’ve got the Southern Alps towering furiously as they do not far off. And the Okarito river delta itself sparkles and rages. Still this place has an energy all its own. Located not far from Franz Josef Glacier (about 20 minutes away), you can book a kayak tour and gain unheard-of views of Mount Cook and the Southern Alps from New Zealand’s largest unmodified wetland. If you’re a birder, you’ll be in heaven. Over 70 species of birds call Okarito home. We know what you’re thinking: How do you pronounce Whanganui and what does it mean? Here’s how you pronounce it. And it means 'big harbor' in Maori. Now let’s dive into what makes this city so great. Just a couple hours’ drive from Wellington, this town holds a lot of adventure – both in its city life and its outdoors life. You can stay in the city center and explore all kinds of neat places like the Whanganui Opera House or the Sarjeant Art Gallery or even the country’s only Glass School. Now we’d like to start off introducing Golden Bay by saying it’s for nature lovers but we could honestly say that about any town, sight or experience we have listed here. In fact, we could say that about most places in New Zealand. If you’re in Nelson, take the roads to get to Golden Bay. You’ll drive over Takaka Hill (AKA ‘marble mountain’ because it’s made of marble). On the way, don’t miss out on cooling off in Ngarua Caves. You can witness a skeletal display of the extinct moa here. Stop off in Te Waikoropupu Springs, too. This gushing water is sacred to the Maori. It’s also known for having the clearest spring water in the world. Once the views open up of Golden Bay you’ll be truly astounded. It’s a massive sandy bay with huge rocks jutting up out of the sea here and there. Bit of advice while you’re here: try the scallops. For all you fishing enthusiasts, hit up Wildcat Charters in town. They’ll take you in and around Golden Bay for a unique fishing experience. They’ll supply you with bait, fishing gear, tea, coffee and a light snack, too. Some fish you might be able to catch: snapper, blue cod, gurnard, kahawai, perch and tarakihi. The Hamilton-Waikato region is about a two hours’ drive south from Auckland. Trust us, take the drive. You’ll want to come visit rolling-green-hill places like Matamata where the Hobbiton Movie Set can be found, or black-sand beaches with endless crashing waves and panoramic views like Raglan (notoriously known to surfers the world over). We’ve talked about the Waitomo Caves in the past. But we’ll say it again: Go visit. Glowworms have taken over the cave’s ceiling and light it up so brilliantly that you'll be hypnotized. After a morning at Waitomo, spend an afternoon at Kawhia’s hot water beach. Bring a shovel so you can dig your very own hot springs bath while the rest of your family plays on the beach. If you’re looking for the best whale watching in the country then you’re going to want to travel to Kaikoura. You can whale watch from the rails of a catamaran or kayak next to seals off the coast. Be sure to book a tour with Whale Watch. It’s unforgettable. You’ll board one of their catamarans and instantly be taken into a world unseen by most. Marine encounters definitely vary but some of the year-round residents include sperm whales, fur seals and dusky dolphins. Depending on the time of year, too, you may come across humpbacks, pilot whales, blue whales, or southern right whales. New Zealand has some of the most spectacular scenery in the entire world, no doubt about it. And Fiordland National Park is no exception. You can hike and bike in the park or you can charter a cruise on the magnificent waters. This time around we say go by road. Magical, misty mountains will be your guide. From Te Anau to Milford Sound you’ll be awestruck. Bring your camera. We repeat bring your camera. Even if you’re not a photographer by hobby or heart, no worries, you’ll still be drawn to take pictures. Especially at places like the Avenue of the Disappearing Mountain "where an optical illusion causes the approaching mountain to get smaller rather than larger." Just before Milford, pull off to the side of the road and take a 20-minute walk to The Chasm. You’ll come across a forested wonderland complete with a small but powerful waterfall. If you don’t feel comfortable driving this road then you can always take a bus. That way you can sit back and enjoy all the mesmerizing views without a care. Are you itching to get to New Zealand after reading about all the wild locum tenens experiences you can have here? We don’t blame you. Find out about all the jobs we currently have for physicians in the Land of the Long White Cloud by clicking the orange button below.